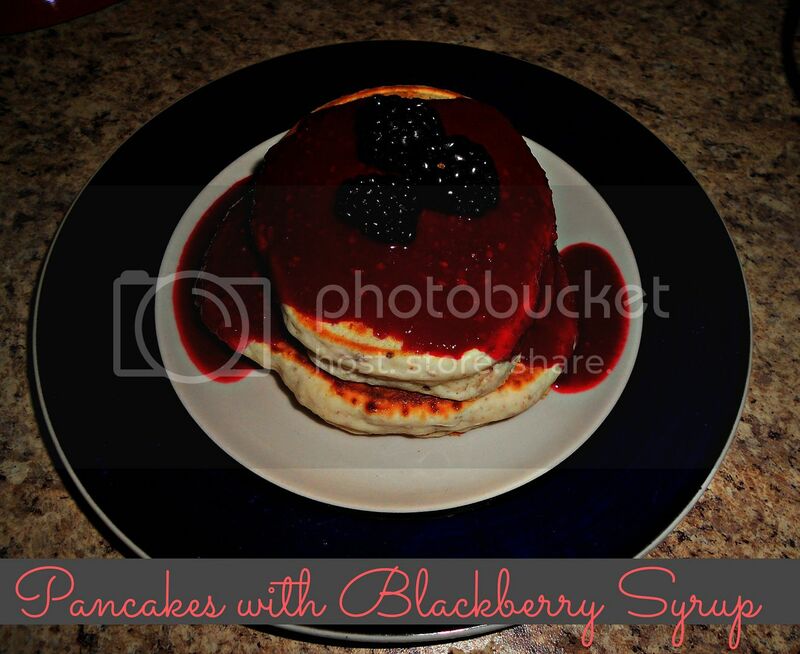 I made my own blackberry jelly a few years ago and used it on pancakes! Will read through your blog to see if you also garden. I just found an article that mentioned you can regrow green onions and celery in a bright window! The syrup sounds yummy and easy. Truly, truly, truly outrageous! Your blog is such an inspiration. My family is about to be in the same boat- hubs is getting ready to leave the Marines and head back to school while I stay home with the littles. Thank you so much for all the helpful hints. You make living on a budget seem like a fun little project. Truly, truly, truly outrageous! Your blog is such an inspiration. Our family is about to be in the same boat- hubs is leaving the Marines and heading back to school. I stay home with the littles. Thank you for all of the helpful tips, inspiration, and recipes. You make living on a budget seem like a fun little project. Yum, this sounds delicious! I love blackberries. I've been looking for good recipes to use up my summer-picked blackberries and black raspberries. I'm totally going to try this. I bet it would be good on ice cream too. I made this recipe w/blueberries yesterday for our protein pancakes... fabulous!!! Thanks Danielle so much for sharing w/our family! OMG thank you for posting this!!!!!! I made some tonight with fresh raspberries and we are all in HEAVEN! Have you tried this with frozen fruit? Im thinking it maybe be less expensive for my family to buy frozen and thaw them to use.... may not need to add much extra water. But curious if you or anyone else has tried it this way.